The Boston Globe recently highlighted an important scientific debate ongoing in the cannabis testing market of Massachusetts. Daniel Adams wrote this excellent piece on August 21st. On September 14th, 2018 Analytical Cannabis published an article echoing many of these same sentiments. The debate is centered on the validity of using qPCR versus culture-based plating for cannabis microbial testing in Massachusetts. To date, the state has approved two labs, one using qPCR and one using culture-based plating, which has “ignited debate over whether the current system is open to abuse by producers who can ‘shop around’ for favorable results”. Our scientists at Medicinal Genomics strongly believe that DNA-based microbial testing is superior to culture-based plating. Science has proven that traditional methods are unable to detect the vast majority (roughly 98%) of microbes. As a result, many cannabis pathogens do not form colonies. Yet current Massachusetts regulations fail to identify this important microbial distinction, causing many pathogens to go undetected when using traditional and obsolete plating methods.This is a significant liability for the cannabis industry as a whole. As a result, major testing labs are not properly detecting these common pathogens, exposing patients and cannabis employees to undue health concerns. In our recent letter to the Massachusetts Cannabis Control Commission, we requested regulation adaptations to reflect more accurate and more specific DNA-based techniques that can detect any and all common microbes. In addition, we’ve written a review of this topic in a document prepared for the United States Pharmacopeia (USP). When articles include statements that are directly against what we know to be scientifically proven, we feel obligated to clarify the facts. There are a number of statements quoted in the Analytical Cannabis article that are not 100% scientifically accurate. “Supporters of the culture-based plating technique counter by pointing out the long history of their technique as a common testing method in other industries, such as in cosmetics, and its endorsement by the US Food and Drug Administration for food science research. “The method they are using is accepted by nobody” refers to qPCR. The problem with this appeal to antiquity (how it has always been done) is that cannabis has been illegal since 1937 and this prohibition predates the existence of the FDA. “How it has always been done in food” is misleading logic as it has never been done before in cannabis and cannabis is not food. 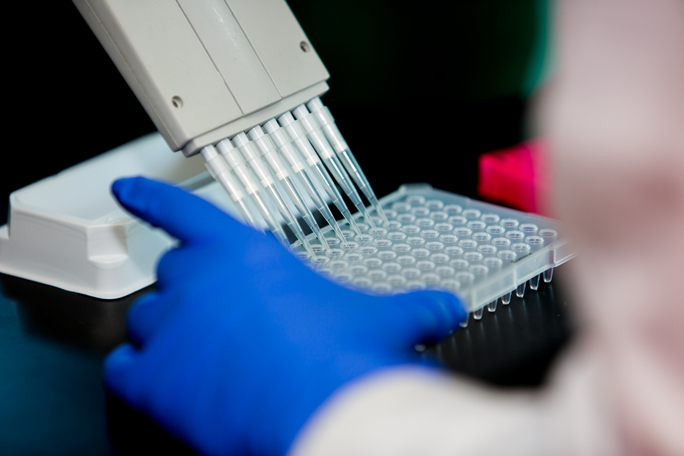 The food and cosmetic industries use qPCR for many clinically regulated tests. Below, we have provided a list of references to qPCR being used for FDA approved tests. In addition to many qPCR based tests being approved by the FDA, 98% of the clinical tests being run today are non-FDA approved Laboratory Developed Tests (LDTs). These tests make life and death decisions for human health care in the Clinical Laboratory Improvement Amendments (CLIA) lab settings and they have remained outside of FDA review to ensure rapid innovation. More importantly, FDA approval is not required for these LDT tests nor is it required for cannabis testing today. This appeal to authority actually works against the culture-based plating argument as those very authorities have large programs that are funded to get rid of Plating. This field is known as Culture Independent Diagnostic Testing or (CIDT). Both the CDC and FDA have multiple independent programs to eliminate culture-based plating from the food testing industry due to its failure to accurately assess foodborne illness risk. The FDA program is known as the Genome Trakr network and the CDCs program is known as Pulsenet. Both programs use genome sequencing to survey food outbreaks across a network of labs around the country. This is being done because culture-based plating takes too long and fails to detect too many risks. In general, agencies are technology agnostic but validation centric. It is important to understand what it means to be validated. Independent of what testing techniques these agencies recommend for food, we cannot pretend cannabis is food. Cannabis is ground up and inhaled, often by immunocompromised patients. Your food is not. Route of administration is critical in establishing tolerable microbial load. The superimposition of the methods that have been validated in the food industry onto a new matrix like cannabis is a major error, and it misleads the public and political organizations. 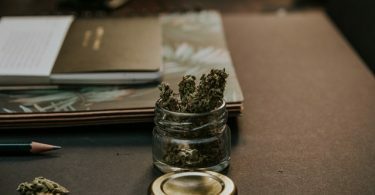 The second error in the complaint is the assumption that validation work done for culture-based plating in other industries can be superimposed on cannabis. To date, there are no published manuscripts to support using culture-based plating methods on cannabis. This is an assumption that works well in short-form media but fails under any prolonged scientific scrutiny. As anyone versed in cannabis testing can assure you, if you change the matrix, you must revalidate your technology. One cannot just superimpose the testing techniques from tomatoes onto cannabis and assume the method’s function. One must revalidate their methods using a given technology on the new matrix. There are no published documents that show culture-based methods have been validated on cannabis. However, our scientists have published. It is correct to highlight that there are discordant results between qPCR and culture-based plating but is incorrect to assume culture-based plating is the gold standard in Cannabis. There are two reasons these plating methods fail in cannabis. Plating methods can’t detect endophytes.It is now well published that many of the harmful cannabis pathogens (Fusarium, Aspergillus, etc.) are endophytes. These live inside the plant as shown in this publication (hempendophytes). Culture-based techniques need to gently soak the sample in broth so as not to kill any microbes. It is impossible to survey the endophytes inside of cannabis without lysing open cells and culture-based plating cannot detect lysed cells. As a result, culture-based platings’ Achilles’ heel is that it cannot pick up endophytes without killing the organisms on the plant surface (epiphytes). qPCR can see both. Most organisms do not culture and fewer culture in 48 hours.Many fungi need at least 120 hours for spores to culture from dried produce. This has been published on five different medias. Any culturing of a dried produce for only 48 hours is security theatre and thus the viability it claims to be capable of estimating is grossly flawed. As mentioned earlier, we have demonstrated that culture-based plating methods grow off-target organisms in several publications. Most recently, we sent a saturated culture of an antibiotic-resistant Pseudomonas aeruginosa from ATCC to the two testing labs in Massachusetts using culture-based plating. We chose Pseudomonas aeruginosa because it is a Bile-Tolerant Gram-Negative (BTGN) bacteria, and the USP has listed it as required for any valid BTGN test. Massachusetts requires BTGN testing for all cannabis samples. Both of the culture-based plating technologies used in those labs (Biomerieux and Hardy plates) failed to detect the Pseudomonas aeruginosa in their BTGN tests. However, their Total Yeast and Mold test detected the Pseudomonas aeruginosa when it should not have. After all, Pseudomonas aeruginosa is a bacterium. Although these results are inaccurate, they are not unexpected. We previously found that over over 60% of the DNA from the growths found on their yeast and mold tests came from bacteria. In order to design TYM qPCR assays to perfectly mimic the flaws of culture-based plating, we have to intentionally remove the microbes we target with qPCR that do not form colonies and make independent assays for these fungi (more cost). This exposes the Massachusetts to the lawsuits they are currently seeing with employees being exposed to high level of unculturable but sickening microbes. If these platforms cannot detect the proper organisms from a saturated culture without any cannabis present, you cannot rely on the results they give you with matrix or cannabis present. These methods lack proper controls and spike in experiments. Likewise, there is not any published validation data for their microbial methods. For public safety, it is imperative labs have transparent methods and preferably peer-reviewed. While we do our best to publish data regarding our methods, any laboratory using our reagents is expected to revalidate in their setting. This would include proper inclusion and exclusion analysis with live American Type Culture Collection (ATCC) controls so the public knows what the lab can and cannot detect. These same studies must be performed in the presence of a cannabis matrix to understand how this oily matrix (that often contains 30% antimicrobial cannabinoids) alters the growth of various pathogenic threats. This is a pillar of ISO 17025, which is required for Massachusetts testing compliance. Massachusetts cannabis testing labs using culture-based methods likely have not performed these spike-in controls or they would have seen the incorrect results. This can negatively impact Cystic Fibrosis patients known to use cannabinoids to manage inflammation. Furthermore, there are employee lawsuits in Massachusetts for exposure to powdery mildew and Botrytis (Yeast and Molds). These do not culture in plating methods, and growers who test with labs using culture-based plating didn’t believe the employees’ exposure. Perhaps if there were public methods and validation data for using culture-based plating on cannabis, we could have avoided these blind spots and employee/employer conflicts. 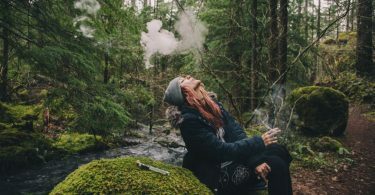 A final critique that has been voiced in other forums is that the Massachusetts regulations reference the American Herbal Pharmacopeia (AHP), which uses the metric of CFU/g. Since qPCR doesn’t report in CFU/g, opponents say the method can’t be used.Insisting qPCR results match a method that fails to perform in certain matrices presents a real and immediate risk to patients and employees. Second, the logic is not supported by the United States Pharmacopeia who, in their informational chapter <1223> Validation of Alternative Microbiological Methods, concluded that CFU/g cannot be considered the only unit of microbiological enumeration. Lastly, one of the commonly used culture-based plating platforms in Massachusetts (Biomerieux) doesn’t form colonies either. It measures a fluorescent change based on a pH shift. qPCR also uses a fluorescent signal, but the signal is based on far more specific DNA signatures than a simple pH shift. Many acid-producing bacteria can falsely alter a pH-based readout. We demonstrated this with Pseudomonas aeruginosa. This near-religious attachment to CFU is not reflected in other regulatory agencies that allow other technologies to provide equivalent metrics. This insistence on a CFU/g metric exposes patients to harmful microorganisms that do not form colonies. This has been peer-reviewed and published. Many of the Biomerieux shortcomings are revealed in the document we submitted to the USP. We agree that the regulations as written overly speak in terms of CFU/g. This should change to reflect the USP <1223> language regarding other equivalent or validated technologies. The European Pharmacopeia has similar guidance on this. Doing so would enable technologies that can detect the harmful microorganisms that do not form colonies but are creating lawsuits in Massachusetts. This same complaint has been raised in other states struggling to implement the AHP monograph’s vague definitions. The Washington Cannabis Laboratory Association has petitioned for changes to these regulations due to the lack of specificity of CFU/g and the explicit statement in the monograph that these values do not represent pass-fail criteria but are reflective of average microbial loads. Alaska and California have abandoned these requirements and moved to species-specific, presence or absence regulations. Total Viable aerobic bacteria Total yeast and mold Total coliforms Bile-tolerant gram-negative bacteria E. coli (pathogenic strains) and Salmonella spp. *Unprocessed materials include minimally processed crude cannabis preparations such as inflorescences, accumulated resin glands (kief), and compressed resin glands (hashish). Processed materials include various solid or liquid infused edible preparations, oils topical preparations, and water-processed resin glands (“bubble hash”). Significant microbial contamination can occur during post-harvesting handling. The Monograph explains that “microbial and fungal values do not typically represent pass or fail criteria. Rather they are recommended levels when plants are produced under normal circumstances and growing conditions.” Despite this language, the Board has implemented the values as pass or fail. Combine the AHP’s lack of trust in CFU/g being an adequate pass-fail criteria and that of the USP <1223> describing why CFU/g cannot be the only form of microbial enumeration, and the assertion that results must be reported in CFU/g falls apart. In the ever-changing world of cannabis, safety, science, and education are three areas of focus that have to be right. The viability and integrity cannabis businesses depend on it. The evolution of cannabis science and its proper implementation, however, will take time. Labs, growers, and regulators are venturing into unchartered territories.We have demonstrated that DNA-based techniques are the best detection defense against unculturable pathogenic microbes – a position also supported by the FDA and the CDC. Attempts to undermine qPCR’s abilities to detect microbial contamination on cannabis are not only unfounded, but they also put patient safety at risk. Culture-based plating methods are antiquated and unable to detect the vast majority (98%) of microbes that do not form colonies, and we feel this is a danger not only to consumers, but to the cannabis industry at large.No other microbial platform manufacturer has published a more thorough evaluation of their method on cannabis as we have in our validation document (download here). Kunicka, “TEMPO® System in Microbiological Analysis of Spices and Food Additives”, Pol -J Food Nutr Sci, 2007, 57(3):67-69.